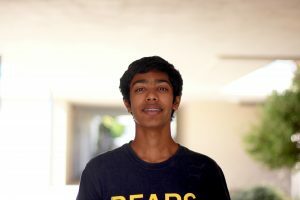 Sarvesh (11) is the sports editor for The Irvington Voice. He was a staff writer and sports apprentice during his sophomore year. This is his second year on staff. He follows many professional sports and talks to friends in his free time. His favorite part about journalism is dispelling rumors that students have. His favorite movie series is Star Wars and his favorite show is Psych.